Dominionist Nutjob David Barton: The Bible Is Totally Against Net Neutrality - Joe.My.God. 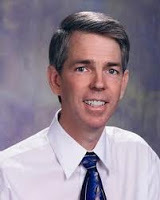 David Barton, the Seven Mountains whackjob who believes that America should be a Christianist theocracy, says that the Bible outlaws net neutrality. In fact, fairness isn’t a concept that Christians should embrace at all. This is the Fairness Doctrine applied to the Internet, and I’ll go back to what I believed for a long time is: fair is a word no Christian should ever use in their vocabulary. Fair has nothing to do with anything. What you want is justice, you don’t want fairness. Fairness is subjective, what I think is fair, what you think, what happened to Jesus wasn’t fair. That’s right, but we needed justice so God did that for us. This is really, I’m going to use the word wicked stuff, and I don’t use that word very often, but this is wicked stuff. Barton has been profitably peddling a distorted “Christian nation” version of American history to conservative religious audiences for the past two decades. His books and videos denouncing church-state separation have been repeatedly debunked by respected historians, but that hasn’t kept Barton from becoming a folk hero for many in the Religious Right. His eagerness to help elect Republicans has won him gratitude and support from national as well as state and local GOP leaders. Former senator Sam Brownback, now the governor of Kansas, has said that Barton’s research “provides the philosophical underpinning for a lot of the Republican effort in the country today – bringing God back into the public square.” Indeed, Time Magazine named him one of the nation’s 25 most influential evangelical Christians in 2005. Next Remember The Asshat Legislator Who Tried To Repeal LGBT Rights In Montana?